Artwork titled "I Am Columbia" by Isabella McMurry, 11th grade, Inspire HS. has won first place in the Congressional Art Contest for California's 1st District.. "I Am Columbia" has also won awards at the the 4th Annual BCOE Superintendent’s High School Juried Art Show and at the Silver Dollar Fair. 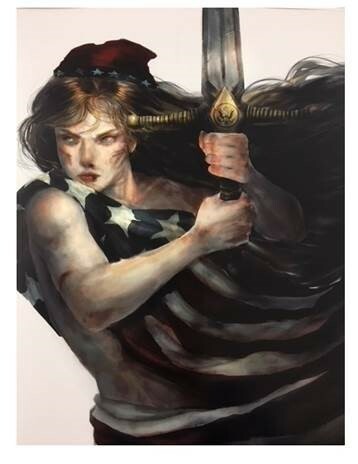 "I Am Columbia" will be on display for a year at the Capitol in Washington, D.C.